The Creative Village in Orlando is a new business complex that will bring thousands of jobs to the city and revitalize downtown. Here's what you need to know. Orlando attracts the most diverse tourist population of any location on earth. Walt Disney World, Universal Studios, and Seaworld are only the tip of the iceberg. The new Orlando Creative Village is taking it to the next level. 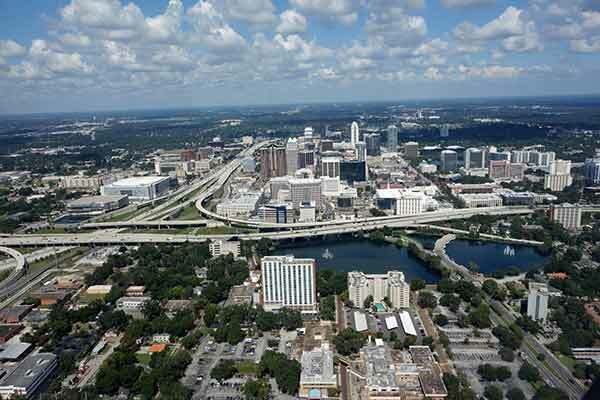 Downtown Orlando is transforming into a creative hub for business and education. The Creative Village Orlando is a joint venture. It includes the University of Central Florida and Valencia College Downtown. It will provide affordable student housing, performance spaces, offices, and entertainment venues. Interested to find out more? Let's get into it! Orlando is a home to thousands of visionary professionals in a multitude of industries. It also hosts the widest variety of tourists anywhere in the United States. But, until a few years ago, it lacked a downtown residential and creative hub for a diverse range of people. Today, this city is in the midst of a grand new vision for the Downtown scene. Instead of the Amway Arena causing congestion and mayhem, it's being converted into one of Orlando's best neighborhoods. Orlando's Creative Village will live where the Amway Arena used to be. The 68-acre space is transforming into a business, education, and residential hub. And, the Creative Village has direct access to Orlando's transit system. This project brings together many tech and digital media businesses that are native to Orlando. It incentivizes digital media industries in the city to grow. Orlando's Creative Village will create a learning, living, and working hub for young professionals to thrive and grow. The Creative Village will offer condominiums, apartments, town-homes, office spaces, and more. Anyone who plans on living in Orlando will find themselves drawn to this area, often. Come for the art, the food, the shows, and the events. All the figures and statistics in this article, on the Creative Village vision, are sourced from the official website. If you already live in Orlando, the good news is that you won't be dealing with Amway event traffic anymore. The Creative Village project frees up the now occupied blocks to allow for cars, bikes, and pedestrian traffic. This project will generate over $10 million a year in property tax revenue and host over 10,000 visitors and professionals each day. Orlando residents will enjoy the parks, coffee shops, bookstores, bars, and more in this new neighborhood. The Creative Village project is the brainchild of Orlando Mayor, Buddy Dyer. The City retains ownership over the land in its partnership with Master Developer. Master Developer, Creative Village Development, LLC, is a joint venture between Bank of America and Ustler Development, Inc. The partnership focuses on the revitalization of urban environments. The partnership provides affordable housing for student and senior residents. The Creative Village aims to encourage diverse communities amongst residents. The Creative Village offers many uses for all the residents and businesses in Orlando's neighborhoods. The neighborhood hosts offices and creative spaces for business and higher education. 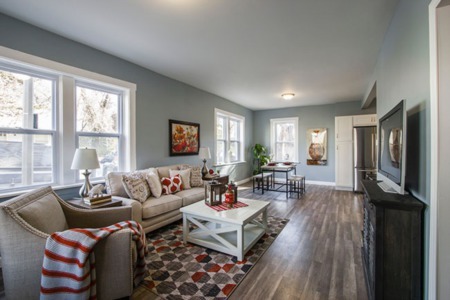 Residential living, student housing, hotel lodging, and commercial spaces are available now. For businesses and creative organizations, it offers well over a million square feet of space available. College and University space will include over 750,000 square feet of designated real estate as well as 1,500 student housing beds. Residents have their pick of over 1,500 apartment and condo units. Tourists can explore over 150,000 square feet of commercial retail space. And, the 225 hotel rooms appeal to Orlando's many international tourists. 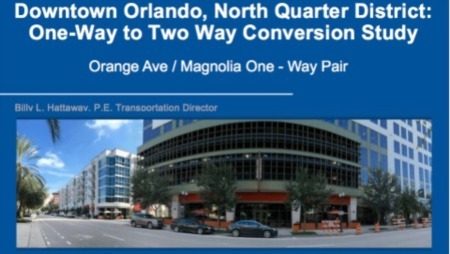 This is Central Florida's largest transit-oriented project. It connects students and residents from the Village to the SunRail and Downtown Bus. If you live in or around Orlando, you have certainly noticed the demolition of the Amway Arena. In fact, the entire arena has been completely demolished and recycled. The ground level phase of Creative Village construction has been in process since 2017. The first quarter of 2019 is marked for the first phase of vertical development and will last well into 2020. The final buildout of the Creative Village is not expected to take place for another 15 to 20 years. Construction of the Creative Village Orlando makes use of 98 percent of the recycled concrete and steel from the Amway Arena. So, as you walk down the street in the new Creative Village, it will feel right at home. The Creative Village is estimated to generate over one billion dollars in revenue from new development - at the build-out stage. Over the course of its development, construction on the project accounts for 6,500 additional jobs for Orlando workers. Once occupied, the Village will provide over 5,000 permanent working positions for new and existing residents of Orlando. The Creative Village has over $20 million secured for the first infrastructural development phase. The majority of funding is from the TIGER II grant - or Transportation Investment Generating Economic Recovery II grant. This grant is awarded by the Federal Government. It represents a strong support for the vitality of Orlando's present and future. And, for Florida's business and economic growth. The Creative Village serves to strengthen the connectivity between Orlando's far-reaching neighborhoods. The LYNX LYMMO bus went through a route expansion in 2017, providing transit to the rest of the City and will likely continue to adjust routes and schedules as growth continues. This area is within walking distance to the Florida SunRail station. A convenience that makes things easier for commuters and visitors alike. The Creative Village Orlando provides access to high-quality education, entertainment, and career opportunities. Thanks to local business, students, and artists anyone who visits the Sunshine State will enjoy the Creative Village. If you're excited about the Creative Village Orlando, share this article with your friends and family on social media. And don't forget to subscribe to our newsletter for the latest posts on Florida's real estate market. Thanks for reading!